largest known nebula in terms of angular diameter as seen from Earth, extending over at least 40 degrees in the southern constellations Puppis and Vela. A complex of diffuse, glowing gas too faint to be seen with the unaided eye, it was discovered by the Australian-born astrophysicist Colin S. Gum, who published his findings in 1955. The Gum Nebula lies roughly 1,000 light-years from the Earth and may be the remnant of an ancient supernova--i.e., violently exploding star. 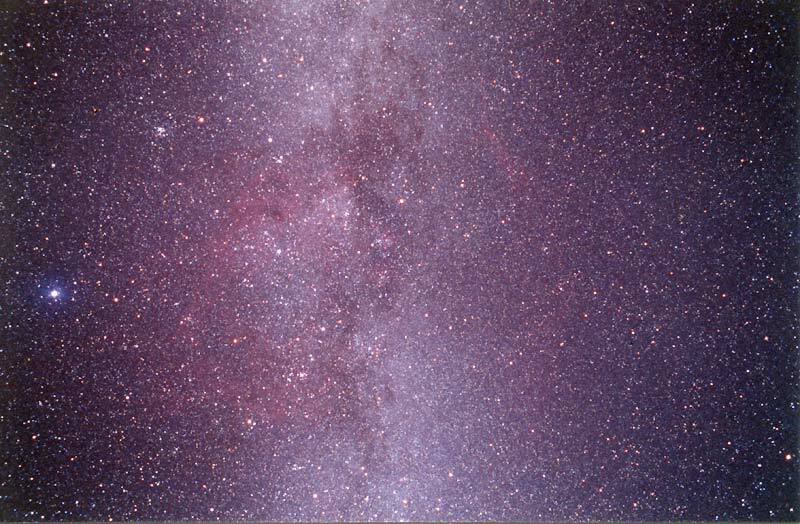 Also see a smaller region of this nebula and nebulosity around Gamma Velorum in the constellation Vela is the brightest Wolf-Rayet star in the sky.